To close the Cheap Tunes Tuesday blog for the year (sorry loyal readers, no post next week), I wanted to highlight one of my favorite bands of the last decade. The main appeal for me with this band is the drastic change of pace to what I normally listen to—plus it’s music the genuinely gets your toes tapping and puts some pep in your step. Back in late 2007, a group of guys got together with the intention to form a band. Given the four played a bevy of instruments (guitar, drums, bass, keyboard, banjo, mandolin etc. ); they weren’t too sure what they had. Lead man Marcus Mumford was the most visible member, so they went with the name Mumford & Sons to invoke the sense of an antiquated family business label. London folk rock was picking up at the time, with a handful of bands starting to generate some local buzz. Mumford met with a manager in early 2008 and thought they caught a break, but instead the manager told them they were too raw said they should keep honing their craft. By late 2008, Mumford had gone from tens of fans following them at different shows to thousands. Given the sharp increase in fanfare, they thought it might be time to convert some of their jam tracks into a record. They found a famed producer who agreed to help them, but when the band showed up, they came empty handed because they didn’t own their own instruments yet. They were nearly asked to leave the premises. Overcoming their faux pas, they signed a licensing deal with Island Records and began gaining traction in the states by putting on shows and playing the late night talk show circuit. 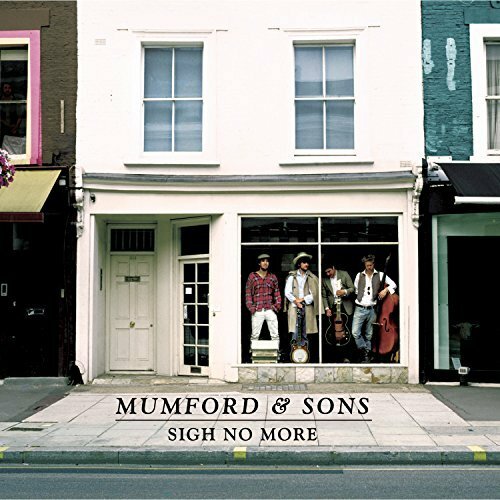 The single “Little Lion Man” was released prior to the album and absolutely blew up in the U.K. Their debut Sigh No More hit shelves on October 2nd of 2009 and would go on to chart in five different countries. The album’s popularity was delayed a bit in the U.S., finally plateauing at #2 on the Billboard charts in early 2011. It would become the third most digitally downloaded album in the U.S. in the same year, with nearly a million downloads. From there it was a whirlwind for the band. They began opening for major bands, headlining some major worldwide music festivals, and were asked to collaborate some of the biggest acts in music at the time. People loved their honest, open approach to music and it was something unique to the radio. To date, it has significant certifications in nine countries, with five million sold in the U.S. and another four in the U.K. If you’ve never heard a Mumford album before, unquestionably this is the one to start with. It’s an introduction to their crazy jam style, yet controlled with a folk approach. They’re one of few bands that can have a ballad-type song, but still manage to put a beat to it that you want to turn up in your car. Having seen them live, they’re no shortage of energy on stage either. The instrumental options are nearly limitless, so to see a band switch up almost every song and produce a different sound track to track, it’s quite a sight (and sound) to behold. Sigh No More won the Brit Award for Best British Album and since 2007; M&S has been nominated for six Grammy Awards. At this point, they’re not a well-kept secret; everyone knows about them and seems to love them. Genre bending music has always been one of my favorite things. I love when bands throw something out there that’s completely unique and sees if it sticks. No doubt these guys have that type of quality, and they do it very well. You should definitely give this a shot today, and for $7 bucks, it’s an affordable way to enjoy your holidays!